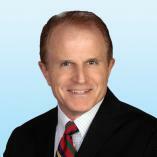 Don specializes in retail real estate with over 25 years of experience. He has extensive competence with land transactions and a significant knowledge of the municipal approval process. Don has served as a broker for numerous retail, institutional, senior housing and multifamily transactions. His background includes everything from facilitating due diligence to retail investment sales. Don’s versatile experience makes the sale, leasing and development lifecycle a smooth process for his clients, and his determined work ethic and attention to detail and follow up assures his clients are experiencing unsurpassed effort.